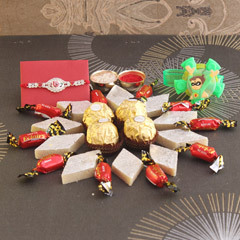 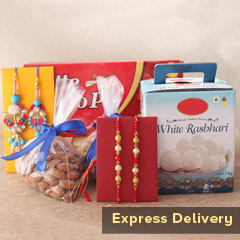 Raksha Bandhan is all about making the bond between brothers and sisters strong! 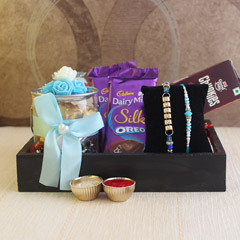 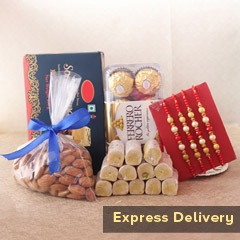 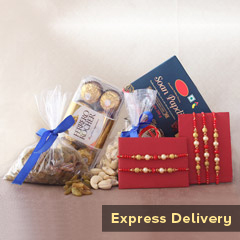 And, if you have a sweet little brother who has been the apple of your eyes then this gift hamper will definitely make for the best celebration. 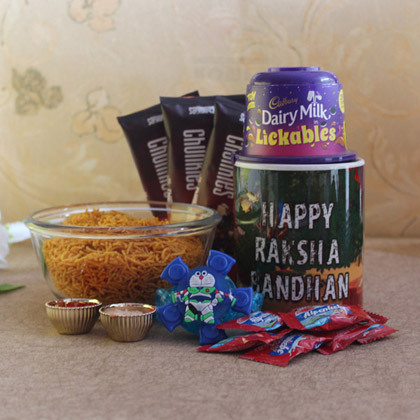 It’s inclusive of chocolates, cartoon Rakhi, toffees, coffee mug and much more and it will never fail in impressing your little brother. 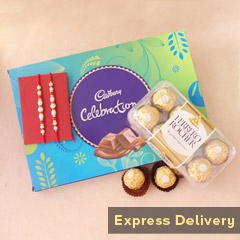 So, order to enjoy!! 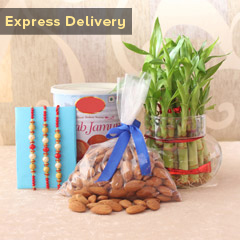 Note: Sweet glass serving containers shown in the image are not included!